With a multitude of applications, accounts, systems and passwords, every organisation is struggling with access control. 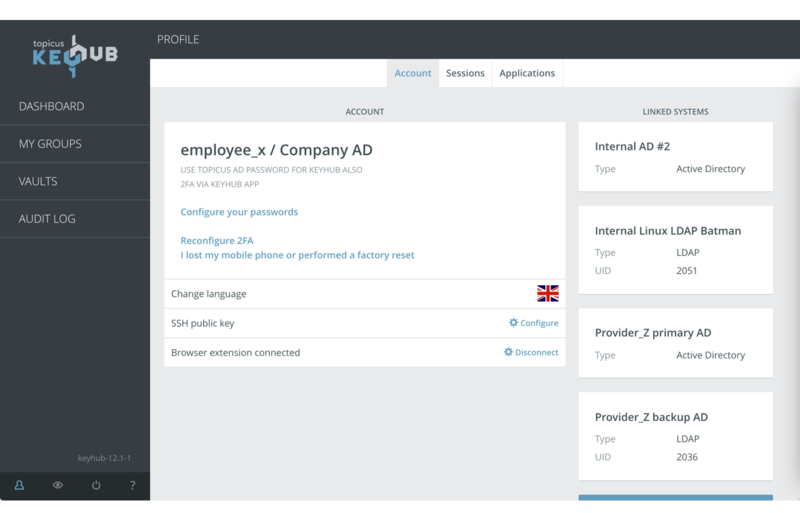 Topicus KeyHub provides a more secure organisation with full control on all digital access. Responsibility where it belongs. With Topicus KeyHub an organisation is divided into custom groups of people. Any group offers the exact access that belongs to the purpose of that group. Group managers are responsible for adding and removing group members. 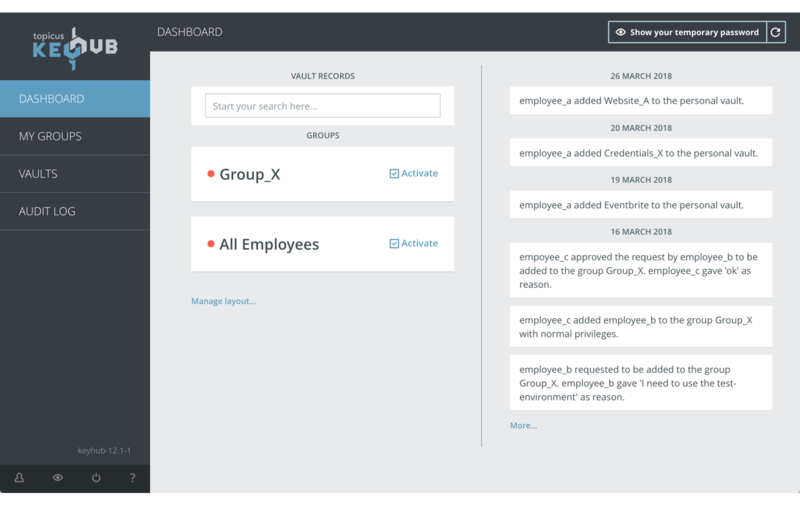 More transparency and a complete audit trail for every group ensure 100% control on digital access. Topicus KeyHub provides a complete team-based password manager. 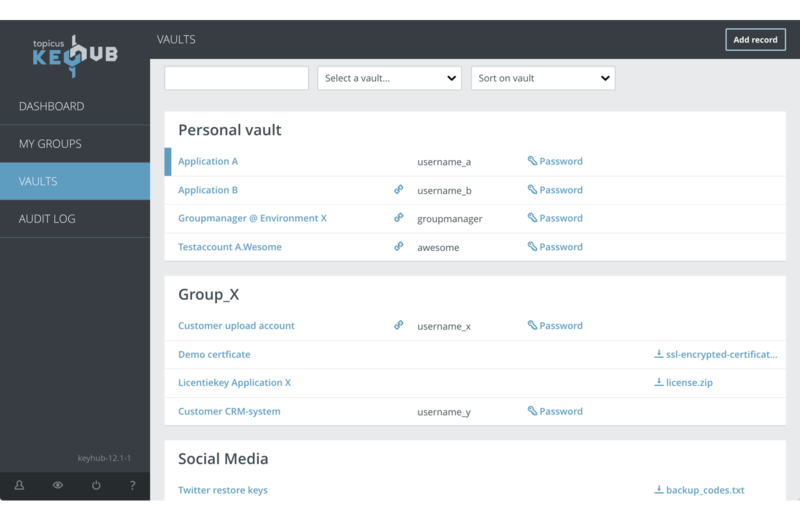 Every group in KeyHub has its own password vault for sharing secrets with group members. Passwords, 2FA-codes and certificate-files can securely be stored and shared with the right people. Furthermore, every single user receives its own personal password safe for personal professional passwords. thanks to the four-eyes principle of KeyHub. Even for system administrators it is impossible to elevate privileges without at least another system administrator approving it. And of course everything is logged and transparent to every individual. The Security Manager Center provides an integral overview of the current state of control. Expired secrets or group managers that did not check their group members periodically are visible. Complete control on accountability for the Security Officer or DPO without requiring actual access to systems or servers. Flexibility and intregration are key to increased security. 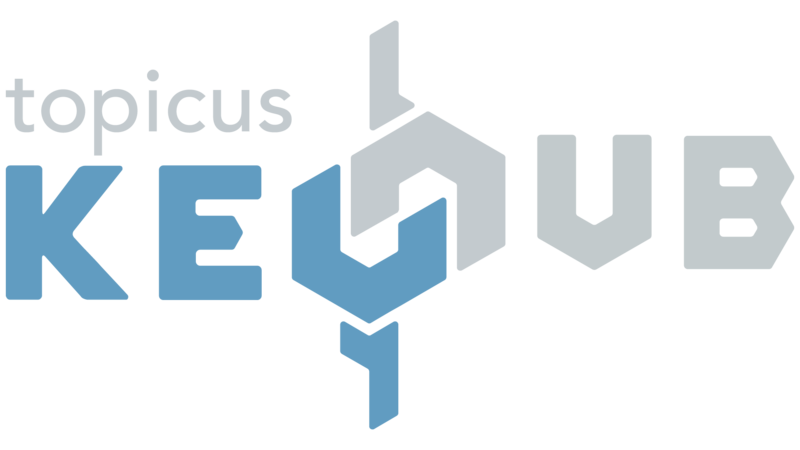 Topicus KeyHub provides web hooks on any access event in order to notify other systems of these events. Notify a dashboard when someone uses a high-profile password or stream all events to your SIEM. Customising access management events was never easier.